Substance Induced Anxiety Research Papers look at a sample of an order placed for a research paper on a mood disorder with onset during intoxication. Anxiety disorders can be studied in light of substance abuse and its affects on the mitigating factors of anxiety. The psychology writers at Paper Masters are familiar with writing on substance abuse induced anxiety and can explicate the co-existence of the anxiety and substance abuse in a research paper. The rate of substance abuse in people with severe mental disorders is substantially greater that in the general population. While substance abuse occurs at a rate of 16% for the general population, it is 29% for individuals with a psychiatric disorder. A study by the Epidemiologic Catchment Area (ECA) showed that 53% of people who have a longtime diagnosis of drug abuse also have a lifetime diagnosis of a psychopathy. Nearly 2/3 of people who abuse cocaine or opiates have at some point in their lives have had a psychopathy. Of those people with a lifetime diagnosis of a psychopathy, 15% have abused drugs. People with psychopathic disorders in particular seem to be at significant increased risk of having a substance abuse problem. Drug abuse was found to occur in 42% of people with antisocial personality disorder. 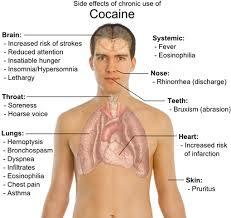 It is estimated that 30 to 75% of cocaine users have a personality disorder. The most commonly reported personality disorders associated with substance abuse are antisocial personality disorder, borderline personality disorder, histrionic personality disorder, and narcissistic personality disorder. Rates of alcoholism in antisocial personality disorder range from 15 to 50% and in borderline personality disorder ranges are from 13 to 18%. Adolescents seem to be at greater risk as well. Adolescence and young adults (15 to 24 years old) with substance abuse problems have a greater risk of having psychiatric disorders than other age groups. The co-existence of anxiety and substance abuse is believed to increase people’s difficulty in life functioning. Studies suggest that alcoholics with antisocial personality disorder have an earlier onset of drinking and intoxication. Further, they incur greater alcohol related arrestes and more reprimands and terminiation from employers. They tend to drink more and have a greater likelihodd of drug abuse. Other adverse consequences associated with having both psychopathy and substance abuse problems include increased incarcerations and non-compliances with treatment guidelines. Adolsecents with antisocial personality disoder and substance abuse problems are more likely to have legal probels, have been arrested, or spent time in jail. Use the current APA format—check the APA format carefully. Examine the topic from a psychological world-view using sound critical thinking in the analysis (feel free to use word studies, commentaries, etc. to support your point of view). Use articles published in professional peer reviewed journals (scholarly Journals); limit the use of web-sites and general textbooks. Your research paper is meant to be an exercise in critical thinking. Thus, each empirical study should be examined critically with respect to issues of design, methods, subjects, conclusions, and generalizability. Integration of the research and theory in the area is expected along with general conclusions regarding the current status of the area of research. Symptoms of Post-traumatic Stress Disorder (PTSD) usually appear within three months of the traumatic event but there may be a delayed onset with symptoms. Treating OCD research papers overview treatment plans for patients with obsessive compulsive disorder. Order a research paper on OCD from Paper Masters. PTSD Veterans research papers examine the anxiety disorder that followed soldiers after the things the experienced during wars. Nervous Breakdown research papers look into the phrase describing an acute psychiatric disorder characterized by depression, anxiety, or dissociation. Psychoactive Drugs Research Papers - Depression, anxiety, and other disorders are diagnosed through means other than a physiological test. The Study of Abnormal Behavior - Most abnormal behavior can be classified within three broad categories: anxiety- related disorders; personality disorders; and biochemical disorders. Paper Masters writes custom research papers on Substance Induced Anxiety and look at a sample of an order placed for a research paper on a mood disorder with onset during intoxication.